ARMANI, (Titles: AD/BH/IPOI/IPO1/SCHH1/SCHHI/A1/A1/SG/V ), Exceptional protection work. Very healthy pedigree, strong and spirited dog. Very good ZW value score, BIG in size and correct in type. 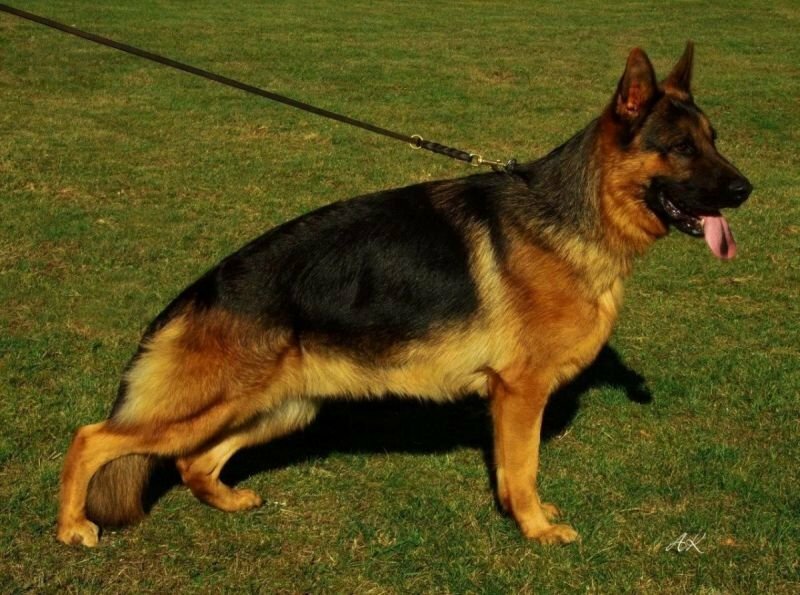 World champion pedigree, strong, powerful and confident dog with great genetic health. Healthy lines, human loving gentle character, clear in the head, loves his family with ready to please, ready to play attitude. This is the old school lineage with POWER and SUPERIOR PREY instinct. ARMANI, is an Ideal Protection dog!! ZW = 86(Excellent - Healthy Hip Value) - More info, please click here! Family Protection Dogs - A Family Protection Dog will instinctively alert its owners to the presence of intruders coming into its house or territory by barking or acting in an agitated or suspicious manner. At Gunbil Family Protection dogs are trained and tested for these natural qualities prior to being placed with their new owners. Our Family Protection Dogs Level 1 (ONE) will bark, threaten, and/or growl while on duty in his territory when there is a presence of a threat or a stranger. Advanced bite (on command), hold and pursue attacker and apprehend with full obedience (Off-Leash).